The Sixth Annual Alcohol-free party #BOOM!, is returning to West Hollywood for a sober New Year’s Eve celebration. 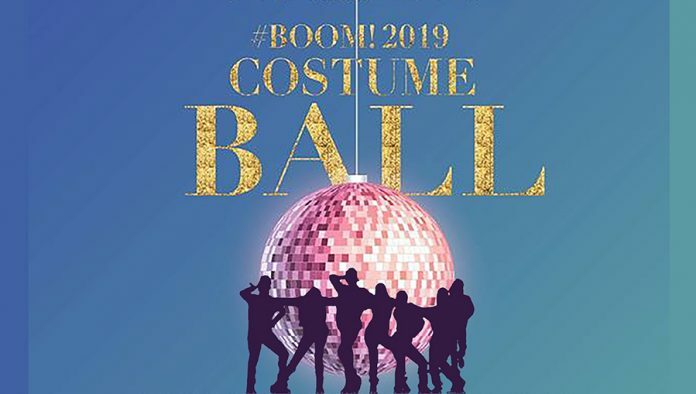 This year’s theme, The House of #Boom!, is a costume ball that will bring hundreds of people together for a fabulous celebration, featuring DJ Eddie X, dancing, food, a photo booth, face and body painting, and an alcohol-free midnight toast. Glamour: Pull out your favorite Dior, Valentino, Gautier or any of your favorite courtier. Style, sophistication and grace should inspire you for this category. Sashay, Shante your way down the runway for the win. Military: Top Gun, A Few Good Men, GI Jane and Private Benjamin all inspire this category. Dress up in your favorite fatigue or dress blues and with your best military strut you may march home with the trophy. Ménage a Trio: Too shy to walk alone? Three is no longer a crowd. Pick two of your favorite trudging buddies to compete in this category. The Supremes, The Three Stooges, Three Musketeers and Charlies Angels are all examples of famous trios. Lady Gaga vs Madonna: Which team are you on? Dress as either one of these iconic DIVAS and let the judges decide who reigns. Don’t let your “Poker Face” keep you from “Vogue”ing your way to the trophy. Hot Mess: Been there, done that. This category is dedicated to “what it was like”. Uniqueness, nerve and trashiness should be reflected in your costume. This is where demoralizing behavior becomes an asset. Just don’t hawk the trophy. House of #BOOM! will also feature other categories descriptions to be announced. #BOOM! 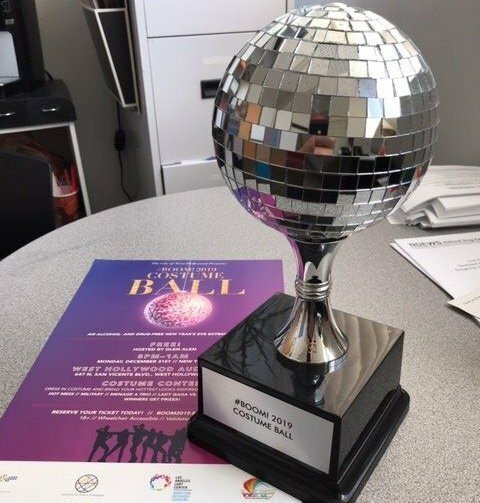 will take place on the evening of Monday, December 31, 2018, starting at 8 p.m. and will run until 1 a.m. on Tuesday, January 1, 2019 at the West Hollywood Park Auditorium, located at 647 N. San Vicente Boulevard. #BOOM! is a free event. Attendees must be 18 or older to attend. Advance RSVP is encouraged, as #BOOM! has limited capacity. RSVP at www.boom2019.eventbrite.com. The holiday season can be a particularly challenging time for people with substance abuse or mental health issues. #BOOM! is a safe space for anyone who wants to celebrate the New Year without the presence of alcohol or drugs. The event is spearheaded by the West Hollywood Project, an initiative funded by the Los Angeles County Department of Public Health, to reduce alcohol and drug-related harms in West Hollywood. Limited parking for #BOOM! will be available in the adjacent West Hollywood Park five-story parking structure, located at 625 N. San Vicente Boulevard. The PickUp, West Hollywood’s Free Weekend Ride, will run along Santa Monica Boulevard in a six-mile loop with 15 stops in each direction between Robertson Boulevard and La Brea Avenue from 8 p.m. on Monday, December 31, 2018 until 3 a.m. on Tuesday, January 1, 2019. It arrives at stops approximately every 15 minutes to transport revelers safely to and from their destinations, while music mixes by DJ Derek Monteiro play on board. The City of West Hollywood will also be running a special schedule of its free shuttle service, Cityline, departing its stop near Hollywood and Highland every hour from 7:30 p.m. to 10:30 p.m., with stops at La Brea Avenue, Fairfax Avenue, and N. San Vicente Boulevard. Return trips from the San Vicente stop will begin at 8 p.m. and run approximately every hour with the final departure to Hollywood and Highland at 1:15 a.m. on January 1, 2019. The House of #BOOM! is sponsored by the City of West Hollywood, the Institute for Public Strategies, the Los Angeles LGBT Center, the West Hollywood Project, the Tweakers Project, and APLA Health. Admission is free but capacity is limited. For more information, please visit www.boom2019.eventbrite.com. #BOOM! is sponsored by The City of West Hollywood, the Los Angeles LGBT Center and Institute for Public Strategies. For additional information, please contact Alexis Sanchez at the Institute for Public Strategies at asanchez@publicstrategies.org or at (310) 215-9924, extension 135.